This waterfront guest house presented an unusual challenge: a hexagonal floor plan. 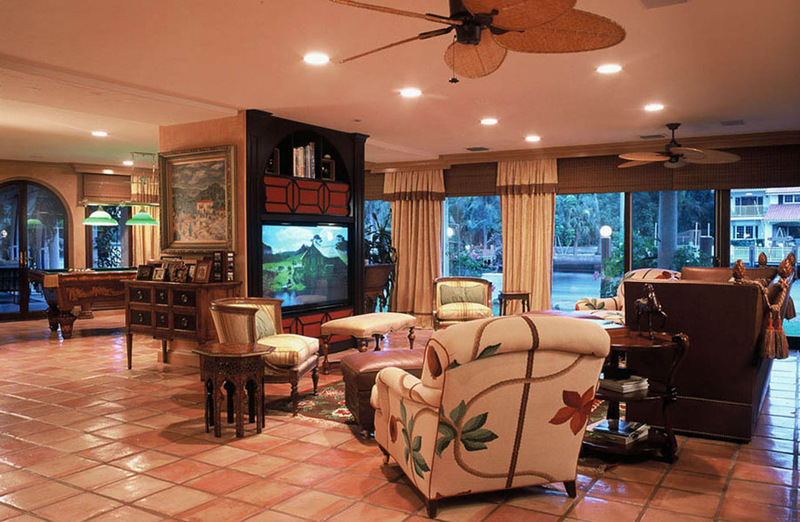 Light colors and rich traditional materials in the main rooms complement the hidden home theater with all the modern amenities, trompe l’oeil, faux finishes, and European craftsmanship. Incorporating the owner’s exquisite taste in art, this waterfront renovation adds contemporary twists to the old European aesthetic. 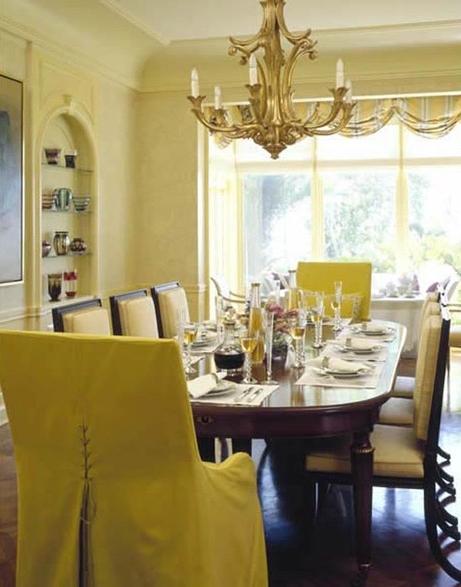 A local artist’s ceiling painting inspired by Chagall in the Family Room completes the collection. This sophisticated masculine office overlooking the Eiffel Tower was redesigned and decorated with the use of eclectic art and accessories accentuated by a warm color palette. The interior design for this noble seventeenth-century chateau seeks only to augment the obvious grandeur and classic proportions of the traditional setting. Completely renovated and modernized, yet indelibly imbued with the chateau's centuries-old French heritage. 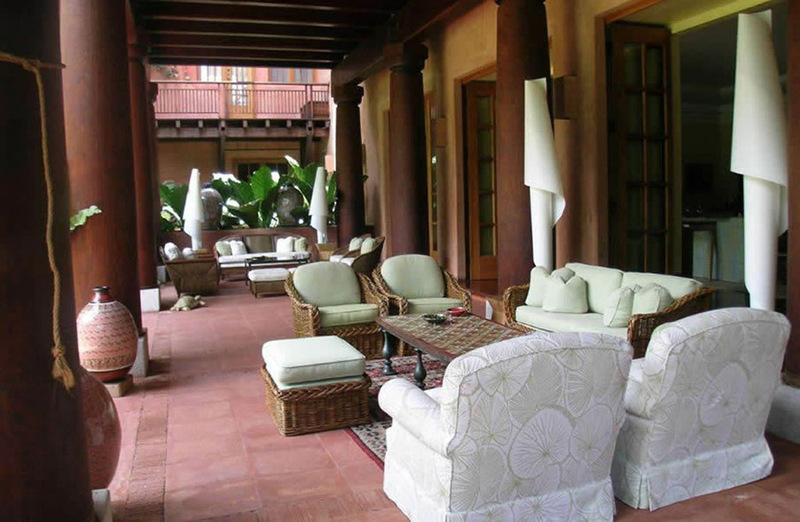 The re-decoration of a discrete mansion reflects the welcoming climate of tropical Venezuela. 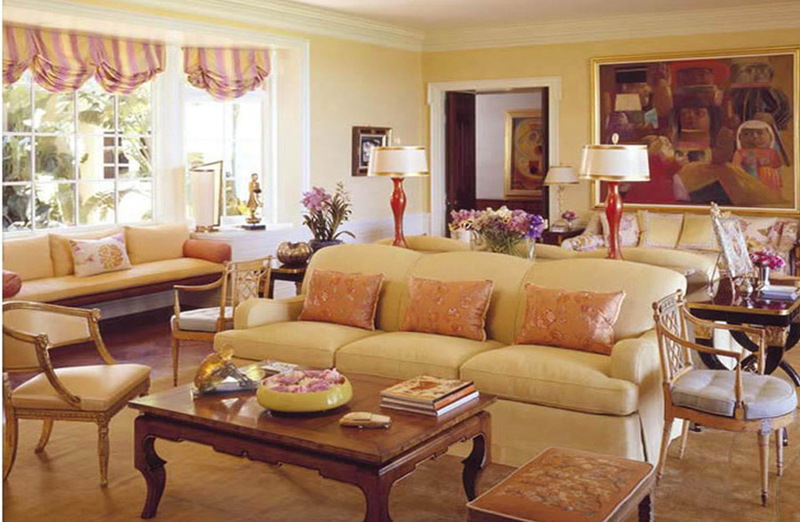 A mixture of fresh colors and aged details render the formal living rooms, terrace and family room as a collective gathering space for all seasons. 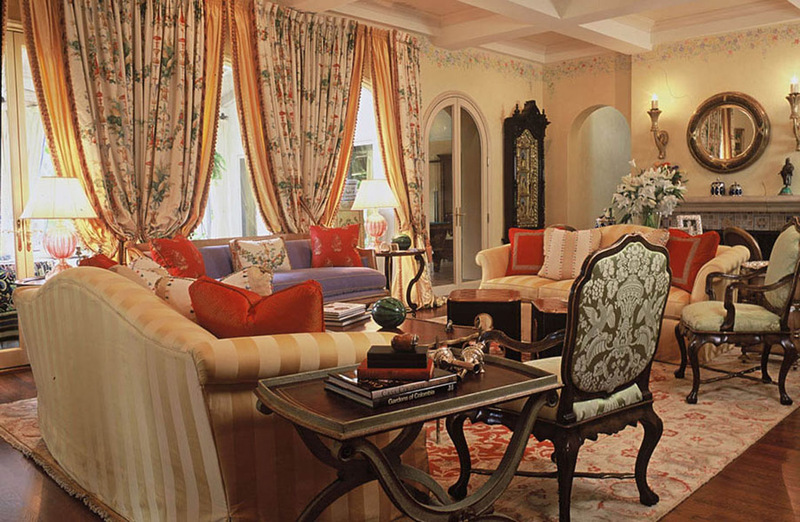 Comfort, elegance, warmth, vintage—the charm of these rooms is everlasting. 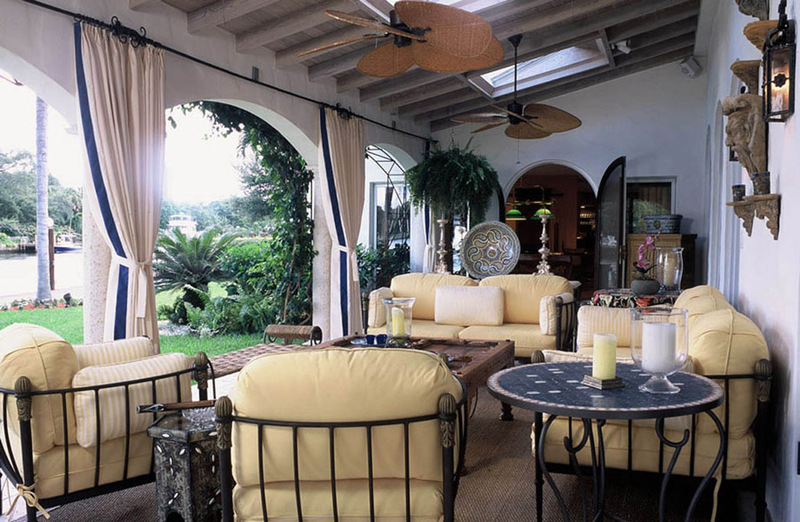 Inspired by Addison Mizner’s Mediterranean Revival style, this waterfront property was brought to life with bold colors and traditional furnishings. 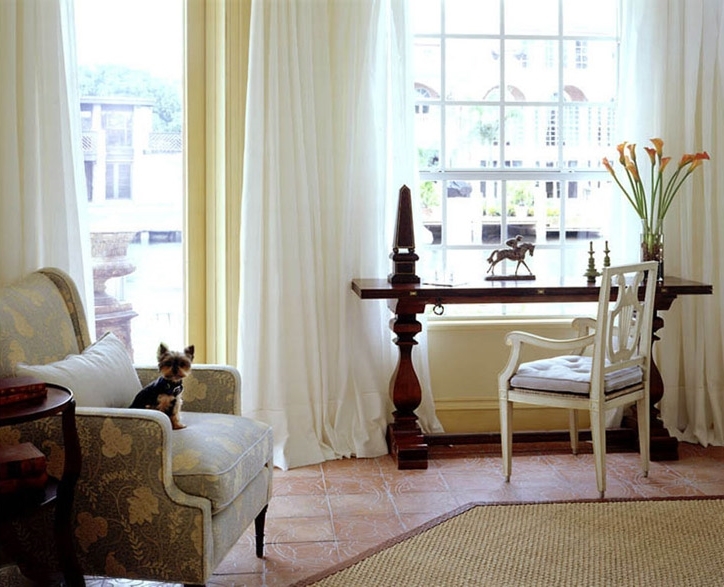 The traditional interior design approach along with the use of traditional furnishings and colorful fabrics creates an articulated Mediterranean interior. Designed for a dealer of antiques, this art deco residence in the 16th Arrondissement features aquarium cabinets and an open floor plan—maintaining the room’s sense of spaciousness while dividing it into smaller, more intimate arrangements. The rich textures, traditional furnishings, and natural-sisal wall-coverings create the cozy, warm ambiance desired in this Swiss chalet.